It’s a well-understood fact among nonprofits that volunteers are an invaluable and strategic resource. Inviting supporters to donate their time and skills can go a long way in helping your organization reach its goals. Volunteers offer valuable skills that can boost fundraising results and improve an organization’s impact. In fact, the estimated value of volunteer service for 2013 was $22.55 per hour. Within the social sector, time really is money. In light of the incredible value of volunteers, nonprofits would be wise to focus on engaging them successfully to maintain good, lasting relationships with them. Here are four tips on how to engage your volunteers and invest in their commitment to your mission. In the same way that you should educate your fundraisers and help them feel confident about asking for donations, you need to remember that volunteers – who are also an extension of your organization’s efforts – need to feel empowered and capable of representing your nonprofit and helping out effectively. With that in mind, start off by educating your volunteers about your organization in a way that specifically includes them in your vision and mission. Open up the space for questions or concerns. Lifting the curtain into your operations will show your value for transparency, make volunteers feel like they’re an integral part of your organization, and help strengthen their commitment to your cause. Also, have your volunteers practice stating your mission in their own words to improve their confidence when talking with others about your cause. People will be interacting with your volunteers with the same approach as if they were fulltime staff, so making sure they can speak about your organization fluently is crucial. A critical step to engaging (and keeping) your volunteers is to assign tasks that align with their distinct skill sets. According to a 2009 survey by the Fidelity Charitable Gift Fund, 44% of respondents said they would choose to volunteer elsewhere rather than stay with an organization that doesn’t use their skills. Other studies confirm this finding. Research conducted by the Corporation for National and Community Service found that volunteer retention rate is higher when people utilize their skills, compared to when they don’t. Just as you (hopefully) do with your donor data, use your CRM solution to collect and manage volunteer data. This way, you can track your volunteers and their interests and engage them accordingly. And if you need some infrastructure to support these efforts you can find an app to integrate into your CRM. Salesforce, for instance, supports a volunteer management app called Volunteers for Salesforce. While volunteers want to undertake tasks that utilize their skillsets, their talents can be affected by their natural temperament and grit. Keep this in mind if you are tasking your volunteers with fundraising activities. In The Accidental Fundraiser, Stephanie Roth and Mimi Ho describe three broad approaches to fundraising that volunteers will prefer, depending on their personality and level of confidence. Entertaining – These volunteers are very sociable, welcoming, and creative with ideas for group activities. They would most likely be found hosting a house party or participating in special event committees. Selling – Some people have a knack for selling products or promoting events. These volunteers would be great at selling swag and event tickets, but they may be less comfortable with asking directly for money. Asking Directly – These people are likelier to have fundraising experience and are comfortable with soliciting for donations. They may have overcome their insecurities about asking through prior experience in sales, real estate, etc. Of course, many volunteers will be comfortable with all three direct service methods, while others may prefer to engage in background support like writing thank-you letters, entering data, helping with the newsletter, researching foundation funders, or blogging and posting on social media. When learning about your volunteers’ skill sets – whether through a volunteer matching service or survey – include a section that asks about what types of fundraising activities they would prefer or enjoy. While nonprofits focus extensively on following up with donors (and rightfully so), less attention seems to be given to people who donate their time. If your volunteers don’t feel appreciated, you run the risk of losing their commitment to your organization. 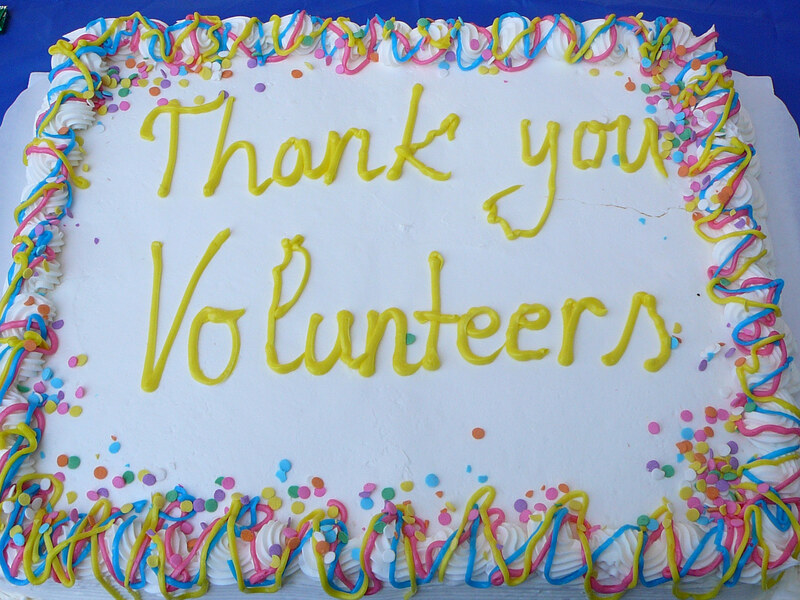 Thank your volunteers, whether it’s in person, through a letter, a special appreciation event, or in your newsletters or annual report. To demonstrate that you value their insight and opinion, establish a feedback loop and ask them about their experience too. You can send out a satisfaction survey to find out what they enjoyed, what needs improvement, and how you can make their volunteer experience more meaningful in the future. And because they work on the ground, they will likely have insight into how you can improve the health of your operations and programs too. Volunteers are strategic assets to nonprofit organizations. By giving appropriate guidance, matching individuals with well-fitted tasks, and following up, organizations can build long-lasting relationships with their supporters and maximize their fundraising and operational impact. Embrace your volunteer talent as a key ingredient to fulfilling your mission.